LinkedIn has 530 millions of users and it is the largest professional network in the world. No doubt, it has become a significant part of any small business and online presence of the owner. Taking into account these amazing numbers, in what form is your profile? It is one of the great tasks which you could delegate for the virtual assistants. Read on to see how they can increase your presence on LinkedIn. Quality Assurance is a key. 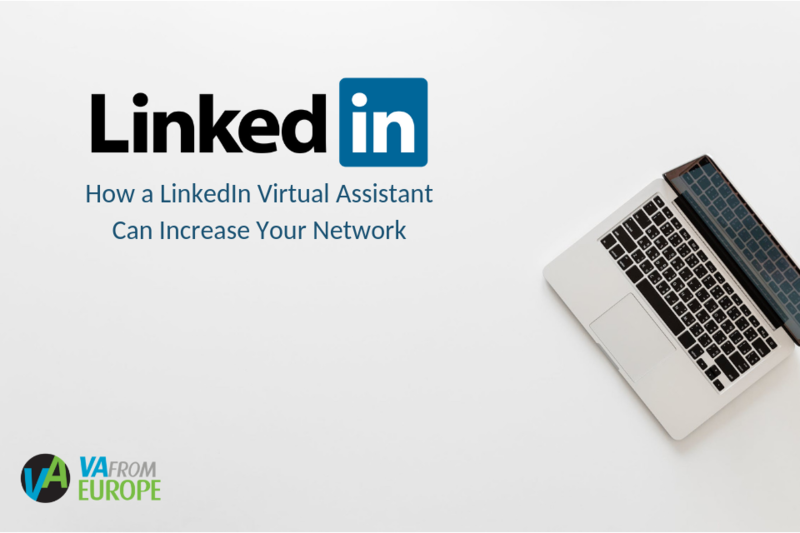 A great job for your virtual assistant is everyday checking of invitations on Linkedin. Instead of just accepting these connections VA will verify who they are and if there is something common you have. Many people turn to the masses to develop their connections without any doubt of who they are joining. It is better to have 200 good connections than 500 people who can not relate to your own business. Questions that you can answer. Create connection requests. It has to be a personal message explaining either how do you know them or why you want to connect. All of this will help you to grow as an experienced professional in your field and build trust relationships with existing and potential clients and contacts. Groups are another way to identify new members either from your own or secondary businesses. That would be wonderful connections, further strengthening and developing of your network outside the current contact area. Do not have a virtual assistant yet? Start the process today with VAfromEurope. Where find time to do all the planned tasks to ensure stable business growth? Who can help me with the obligatory daily steps without which sales are impossible no matter how great my product was? Who can I delegate it and why? How to find a person who will keep in step with the times? What needs to be delegated in the first place in terms of cooperation? The best way for Amazon seller is to outsource this work to a virtual assistant team. We want to share with you our experience in working with customers and products. There are a lot of nuances here. However, a lot of time takes actually Product Listings in work with Amazon products for sale. A person who already works directly with it usually knows this and what is important in this process. We will not focus attention on obvious things for those who have made their business. Making a Product Listings on Amazon requires a lot of time, knowledge, control and efforts. This is the original combination of data entry, content management, and analysis. Work with Product Listing faces us with a lot of questions when analyzing and making product listings on Amazon as well as the necessity for close communication with Amazon support. Your Virtual Assistant for Amazon FBA should know all that you know (important elements of Product Listings are: product title, images, bullet points, description, keywords). Product ID. It is needed for every product in order to be sold on Amazon. This Id (generally a UPC) will distinguish your product from every other product. It identifies the product related to the listing. Making Product Listings we come across with issues which require additional time and efforts. Insufficiently made description without taking into account market trends will block your product page. Why is it helpful to hire a virtual assistant from a team? Appropriate additional control of the manager regarding time, reporting, taking into account the remarks, adjustments of the process. Consequently, attention should be placed on your time consuming, quality and paying attention to the global things of your business. 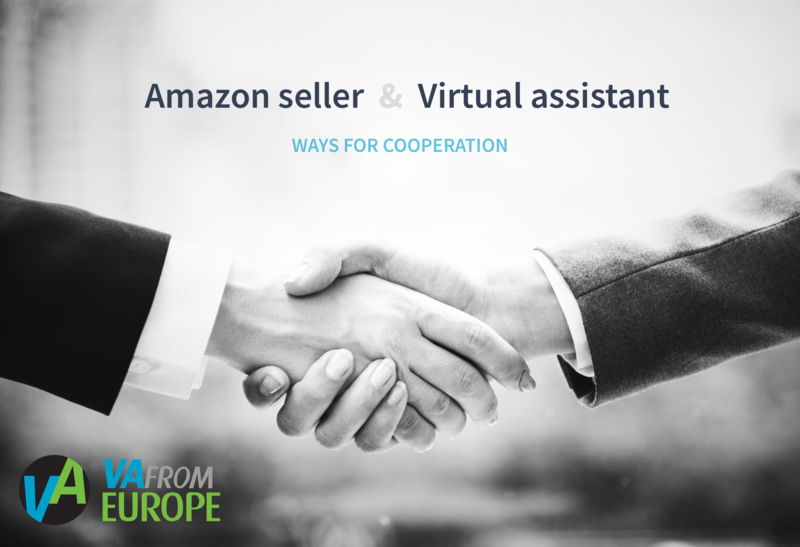 Virtual Assistance agency gives you a hand in Amazon routine. The leading generation is a source of vitality of many businesses. The issue is that by devoting the necessary resources to lead generation before all other duties which go in business may be very hard. 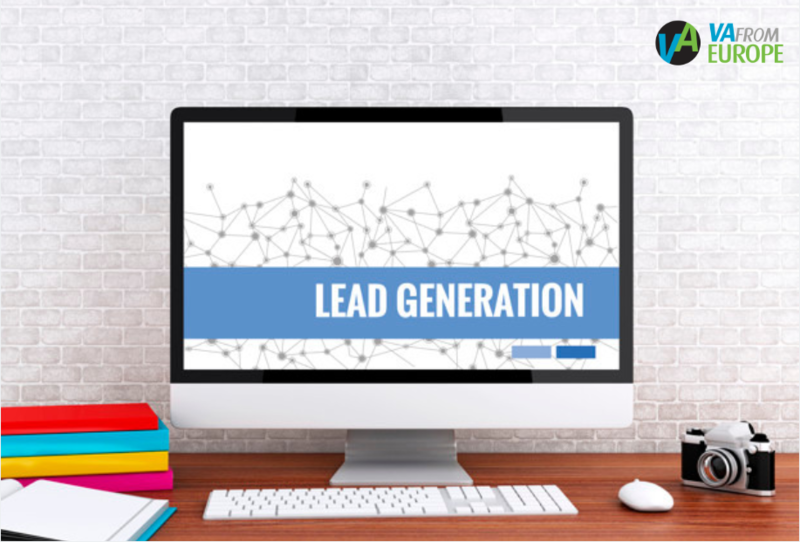 Organizations have the possibility to increase lead generation efforts without the need to devote their own personnel to these tasks. Virtual assistant agency is a method for your business development and lead generation. •	collection of leads — obviously in order to use potential leads it is necessary to have a prospecting database. The majority of companies simply buy the leading positions in the list of construction services. In a result, you don’t know your leads. Thanks to virtual assistant you may design your own database to provide the current and reliable contact details for each of your potential customers. •	email support — virtual resources such as email might be exploited by a virtual assistant to start talking about your goods and services. A detailed copy of the email may be provided to potential leads. •	email management — virtual administrative assistant can keep an eye on your email and transmit information that seems appropriate and relevant. Please don’t forget about GDPR rules. It`s crucial nowadays to have a legal database. •	social media objectives — through social media many companies gain clients. In today’s fast growing business it is significant to be active in social media. That’s why you may trust such kind of work for a virtual assistant. Update your social network profiles without the need to shift someone’s focus to this task which requires a lot of time. •	lead following — with a virtual assistant you can be sure that each interaction with lead is monitored thoroughly to assure efficiency. Virtual assistants have good knowledge of CRM solutions which can do lead following comparably simple. •	online analysis — buying a new product or service takes a lot of time and takes you from the main duties. The virtual assistant agency may do these research tasks instead of you and you only may decide whether to continue the initiative after the deep analysis. Therefore, focusing on the Lead Generation, you will be able to discover new opportunities for your company. Furthermore, the clients who were creating their own databases with VafromEurope’s help became successful. We are living in the time of heavy reliance on the internet, which has penetrated all spheres of human life. Still, while the majority of companies and entrepreneurs have understood the importance of establishing their online presence, most of them still miss out on internet research, which provides a wealth of opportunities for any business. Thus, experienced online internet researchers from VAfromEurope are eager to share with you some insights into. Careful market and industry analyses are essential steps noone should skip when starting a business. Although these types of analysis often go hand-in-hand, each has a separate distinct mission. Industry research involves the analysis of key players and competitors. Market research, in its turn, is the research of potential customers, their demographics, interests, lifestyle, shopping behaviors, etc. Good industry and market research helps to find one’s own niche and define a target market that are keys to successful marketing. Internet has considerably facilitated the way of doing an industry and market analysis providing ample tools for analysing competitors and doing surveys. What’s more, if you hire a virtual assistant to carry out an internet industry and market research, you may cut the related expenses without compromising the quality of the service, which determines future success of your business. 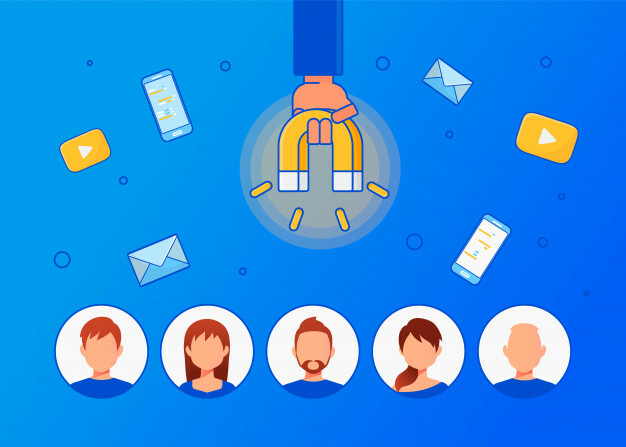 Most successful companies do not wait for customers and partners to become interested in their products or services, but proactively search for useful connections. Although networking on the related conferences and exhibitions is important, internet research may still bring the most results here. For example, VAfromEurope has had a number of successful projects when web research helped to establish long-lasting relations with corporate customers and reliable suppliers. In some industries and for managerial positions, there is a great demand for qualified employees. Thus, current headhunting battles have become ruthless and take much time and resources. 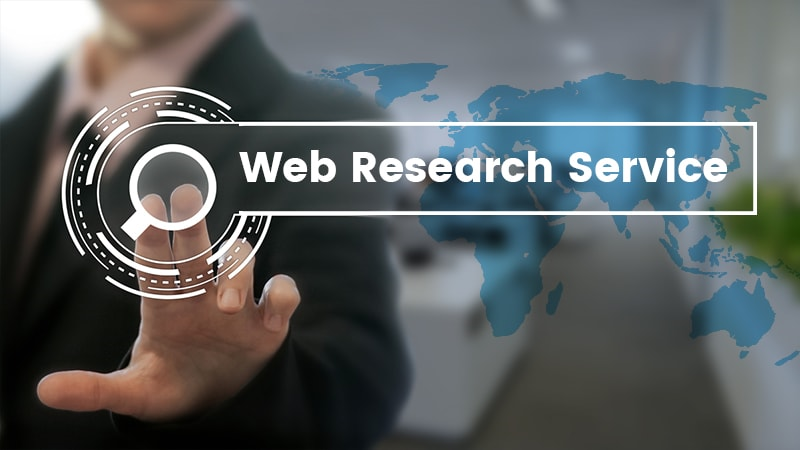 Remote research assistants can help create a pool of candidates that meet job requirements or conduct a background research, so that you are sure you that you hire and train the right person. Better premises for doing business, affordable product storages, hotels to stay in on business trips, celebration venues or conference rooms… Now, when all the premises, hotels and restaurants can be researched and contacted online, a remote research assistant can help with any real estate need a business might have. 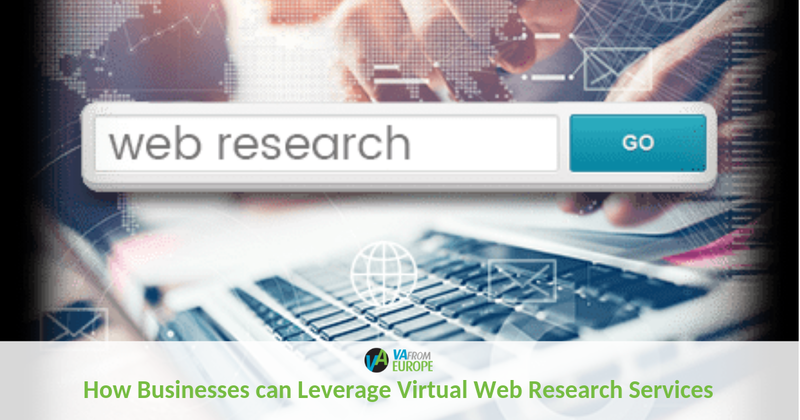 Since so many business processes rely on internet research, it might be the best solution to delegate it to professional online internet researchers that apply best practices and tools to deliver true value to your business. 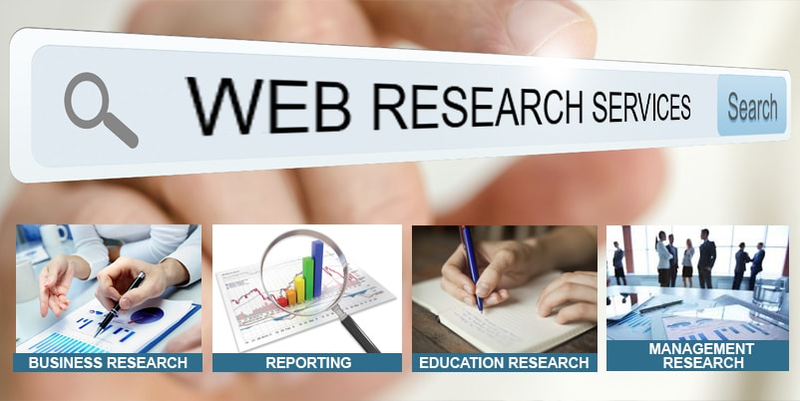 VAfromEurope has ample experience in web research services for various businesses and industries. Hire a virtual assistant now to leverage all the opportunities of the today’s world. Although not new, email marketing is considered one of the most effective marketing tools. Still, this tool requires a sound approach and an ability to find the right balance between letting your contacts forget about you and being overly intrusive. Sometimes, companies create email campaigns only to inform people about the sales or discounts they offer. More than that, they initiate sales and discounts to have a viable reason to reach out to the audience. Such an approach is flawed for a number of reasons. First, people don’t like it if you only want to sell your product or service to them. Second, constant sales might send a negative message about the product, as if you are ready to give away half of the price, your product is either not worth the full price or no one wants to buy it. Last but not least, overlooking other topics, you miss the opportunity to establish closer relationships with your subscribers who might otherwise see the value and human face of your company from your emails. Share customer feedback or experts’ reviews. Of course, your marketing campaigns will depend on your specialisation, company size and the relationships you have established with your mailing contacts (specifically, whether you target a cold audience with little knowledge about your company or your long-term trusted partners). Still, it means that you should look for the right content, not skip email marketing overall. After all, you do remember about the rule of seven touches, right? Make your website have a blog with useful and relevant content and share it in the social media. Social media is primarily the place to read the news and interesting content and people may get annoyed when they are only marketed directly here. At the same time, if you provide interesting content on the social media channel, which does not link back to your website, you lose the chance to track visits and remarket people who are interested in a particular product or service. 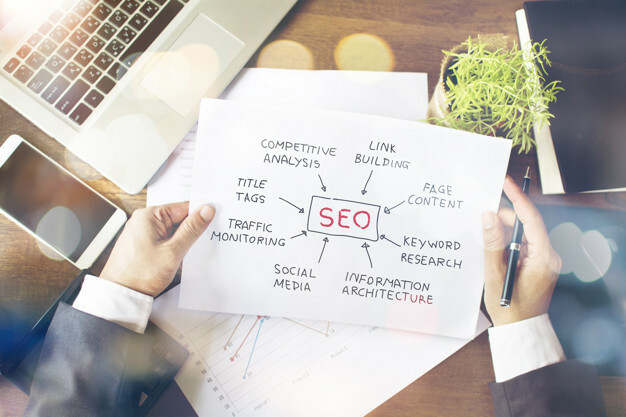 With a blog, you actually kill many many birds with one stone – improve SEO of your website, have valuable content to share on the social media, find the audience you can market, etc. Make sure the content on your website has social share buttons. 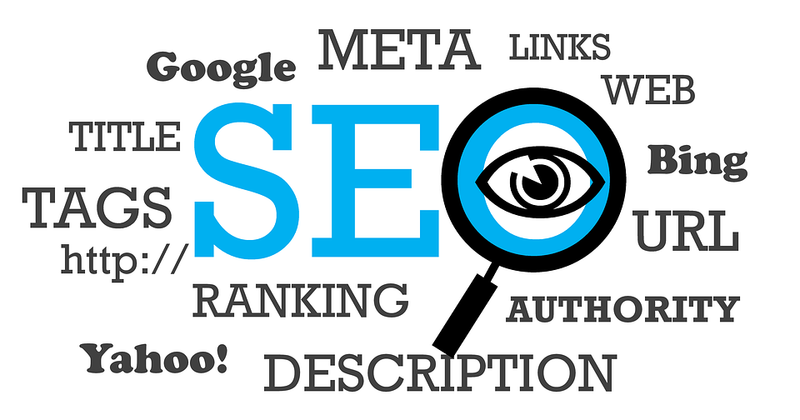 Again, this is important for SEO, but it also helps to drive more traffic to your website. Just consider Facebook here, the largest of the social media platforms: it has remade its algorithms to show more friends’ posts and fewer business pages’ posts. This way, if your article is shared by a regular user, it may appear in the timeline of much more people that if you shared the same link. Refer people to your website. Although this might seem obvious, many people still miss much of the traffic simply not providing links to their websites in the social media when answering user’s questions or commenting on the relevant posts. Track the discussions, which refer to your niche, and indicate by the way where users can read more on the topic. Use several social media channels. To drive more traffic, you need to use more social media channels. It does not mean you need to use them all, but try not to limit your social media marketing to one platform! Determine what social media sites are relevant to your audience and share content there. Try sharing content on Linkedin or Medium or answer questions pertaining to your expertise on Quora (it boasts 190 million monthly users in 2018!). Again, refer people to your website as you do. Share your website content more than once. Neil Patel, a traffic guru, recommends posting the website article at least three times. Although the engagement with each next time diminishes, the engagement on second and third sharing equals the engagement on the first one, which eventually doubles the traffic to your website. At the same time, sharing several times may make your post go viral. Make your niche experts help you. Create a roundup article, which would give expert’s views on the topic pertaining to your business. If you cannot contact experts and ask for their opinion, you may quote their Facebook or Twitter public posts, where they express their views on the topic. When sharing such article in the social media, tag the experts in the post – it is very likely that they will share your post among the millions of people following them. Use Snip.ly to drive traffic to your website via each piece of content you share. Of course, followers appreciate when you share some useful content from relevant websites. Still, it does not drive traffic to your website. Snip.ly is the tool that can correct this allowing to create a call to action with a link to your website on the page you share with your social media audience. Using these 7 ways to make social media drive more traffic to your website might have an immediate effect on your business. 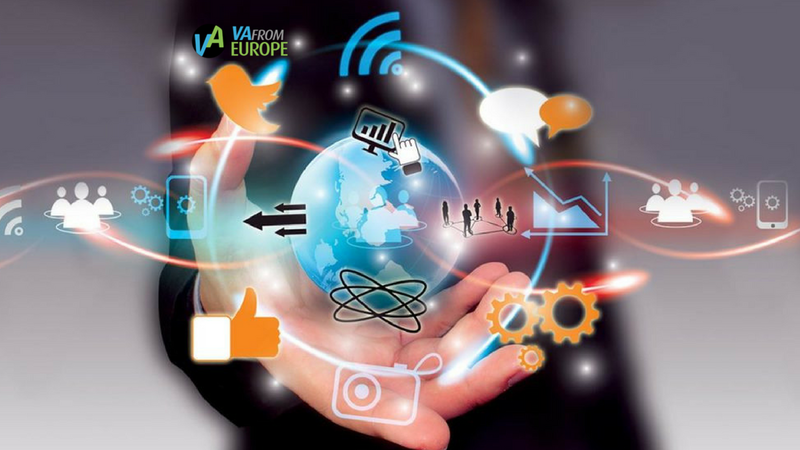 VAfromEurope experts are ready to help you employ the best social media marketing strategies so that you receive maximum benefits from the online presence. Tracking the volume and the actions of the visitors on your website is the key to effective marketing and remarketing to both new and existing customers. 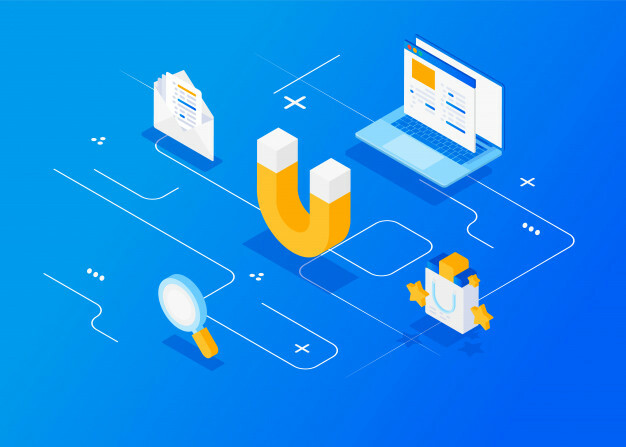 There is a wide variety of tracking tools and one solution to optimize and manage them in one place – Google Tag Manager (GTM). Let us look into the benefits of using this system. Tags are snippets of code, which are to be added to the source code of your website to collect the relevant information. 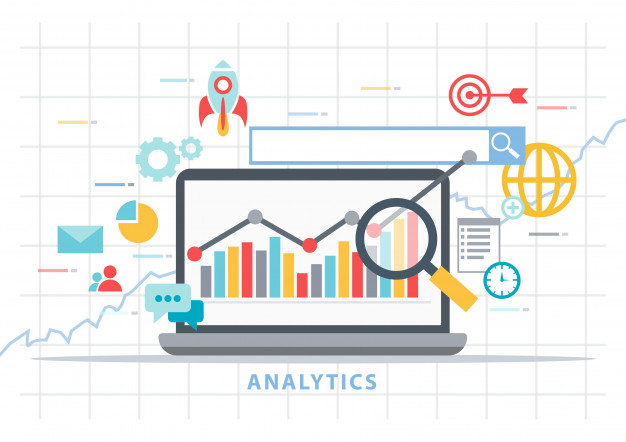 For example, there are Google Analytics, Adwords, Hotjar, Facebook pixel, and other tags that help you track the volume of your visitors, their location, time spent on each page, and other website events such as subscription, downloading or a purchase. If you use a tag manager, you do not have to refer to a specialist and make changes to your source code when you want to add, edit or disable certain tags, as you can do all this in a web-based GTM interface. Although tags provide valuable information, their loading slows down the website so that the “bounce rate” (when visitors leave without performing any action) may increase. Google Tag Manager makes all tags load asynchronously, thus eliminating the related speed issues. You may add, edit, or disable tracking tags for your application or an accelerated mobile page (AMP) using a google tag manager interface. This way, there is no need to issue an updated version and ask clients to download it. Considering that some tags may prove not useful or may need further changes, flexibility in their management is vital. GTM has a big library of default tag templates, which are easy to set up and work with. At the same time, you may export an information about configuration of your tags, their triggers (conditions activating tags) and variables (places to store the information about the tracked events), and reuse it as a template each time you might need it. 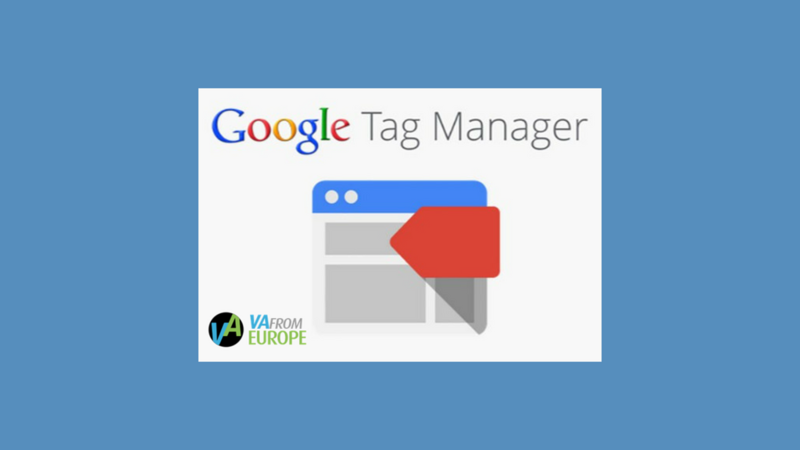 While work with Google Tag Manager is really easy compared to changing source codes each time you want to make changes to your website’s tags, its implementation still requires some technical knowledge. For example, you will still have to add a GTM container code to each page of your website and technical help will be needed to manage more complex customized tags. In addition, if you have already had some tags added to your website manually, they should be removed, as placing them in GTM will end up in duplicate content (one event will be tracked twice). 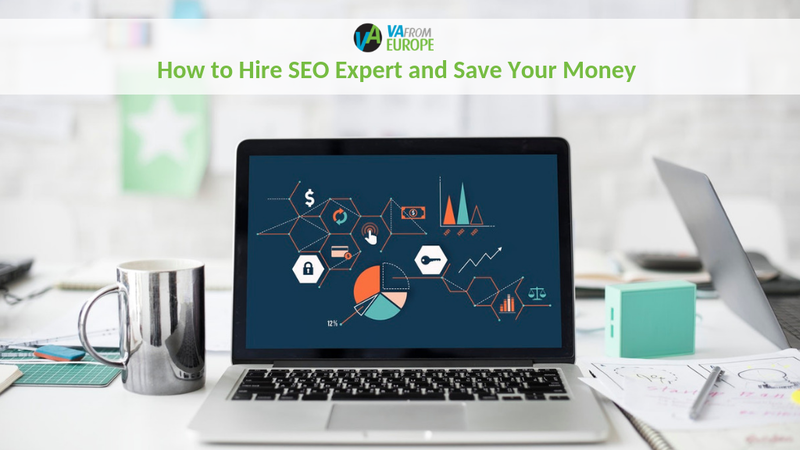 No matter which tool you use, your website needs to be analyzed, which is a first step in its SEO optimization, and VAfromEurope can help you with it. GDPR was adopted two years ago, but it is only on 25 May 2018 that it – and the related fines – come into effect. If you feel like you are the only one not to have heard about it, don’t worry – while large corporations have done much to prepare to the change so far, there are millions of other entrepreneurs like you who feel ignorant of any “revolution in data protection” coming. 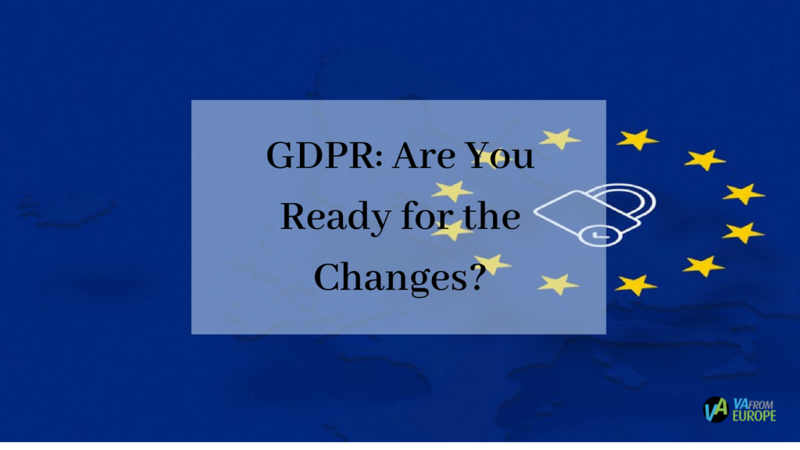 GDPR stands for General Data Protection Regulation, which was adopted by the European Union and comes into effect on 25 May 2018. Starting with this date, failure to adhere to GDPR will cost businesses up to €20 million or 4% of the annual revenue. Who does GDPR relate to? 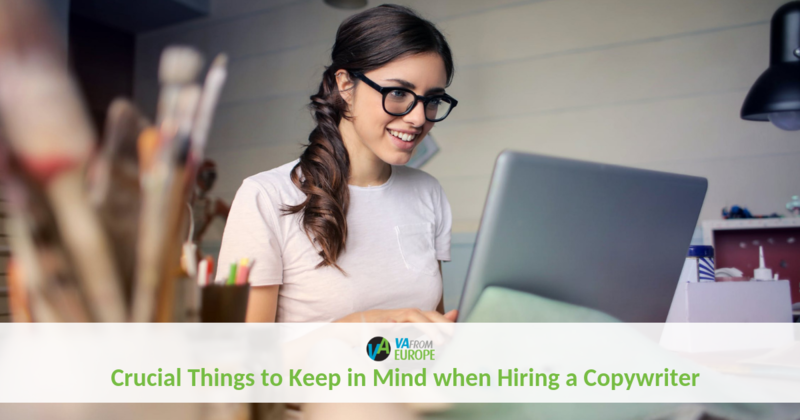 GDPR relates to all companies that are established in the EU and those who are outside of EU, but have EU employees, monitor behavior of EU data subjects, market products to EU citizens or use EU citizen’s data for their own products (e.g. IT companies). Personal data comprises the persons’ name, email, address, phone, IP address, as well as their religion, sexual orientation or personal opinion. Companies possess personal data of their employees, partners and clients and should take care to assure data security for all these subjects. What are the most important changes we should know about? You should choose and document a lawful basis for each data processing activity you perform. GDPR allows choosing between six lawful bases: consent, contract, legal obligations, vital interests, public task, and legitimate interests. Mind that lawful bases apply only in cases when the collection of personal data is necessary. If the data cannot be considered necessary for or relevant to the purpose of the activity, it should not be collected or stored. GDPR has established stringent regulations regarding receiving, recording and managing consent, which is one of the most common lawful bases for processing data of clients. In particular, GDPR demands to obtain explicit consent from all subjects, inform them of the organization controlling and/or processing their data, explain the purpose of collecting consent and the ability to withdraw it in a clear and plain language, and keep the record of how the consent was received. In addition, you should make sure you don’t make a consent a precondition for a service and do not penalize subjects for withdrawing consent. GDPR has brought some important changes to the personal privacy rights. In particular, subjects should now be able to access, copy and transfer their personal data, as well as object to its use for a particular purpose. Subjects have also received a right to erasure of personal data, also known as “a right to be forgotten”. Should we do anything if we do not do anything wrong with the data? Yes, you should. GDPR requires not only to comply with the new rules but also to maintain accurate documentation of data processing and the related policies and procedures (e.g. procedures in case of a data breach), which would demonstrate compliance. In addition, you should appoint a Data Protection Officer or a data protection specialist and sign GDPR-compliant contracts with all processors or other subcontractors given access to the data you hold. You should also be ready to show you have conducted a internal audit and staff training on the new rules. What is more, if you have not used data encryption, should start implementing it to adhere to the security by design requirement. Should we do anything with a database we already have? Yes, you should. You need to make sure your legacy data was obtained in the way, which is compliant with current GDPR rules. If you do not have a documentation on how data was received or the process of obtaining consent contradicts current rules, you should inform the subjects of the information you hold and a reason for its processing giving them right to object or ask subjects to positively opt-in again. Revising long-standing policies and practices may take up a lot of your time, but this is something you cannot escape – fines amounting to €20 million or 4% of the annual revenue sounds like a strong argument, doesn’t it? Still, our virtual assistants may free you from a wealth of other responsibilities, so that you concentrate on what is urgent and important, GDPR compliance in particular.